Choosing the right has never been so much fun! 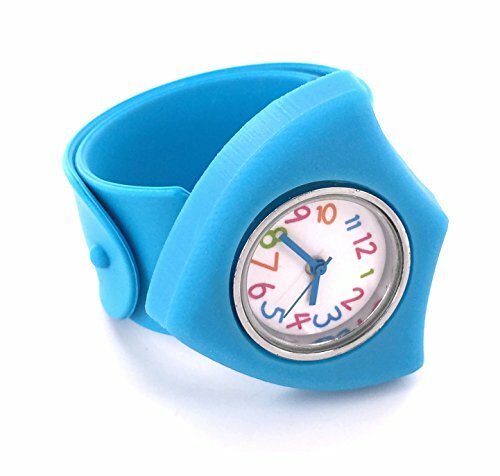 This awesome slap-bracelet watch is shaped like a CTR shield, and the soft silicone design and totally adjustable size makes it comfortable to wear all day, every day. Color: Vibrant Blue. Watch size: 8.5"Lx1.5"Wx0.75"H.
DO YOU WANT YOUR CHILD TO ALWAYS REMEMBER TO CTR? This Slap Watch is a great reminder to always Choose The Right. CTR Shield Emblem helps Boys and Girls remember what is most important. EASY AND FUN TO USE! Choosing the Right has never been so fun! Easy To Slap On, and Easy to take off! Great for children of all ages. FASHIONABLE AND LIGHT WEIGHT - Made of Lightweight Silicone, our CTR Watches feel like they are not even there. Colorful numbers on the watch face make telling time fun! GREAT FOR MANY OCCASIONS - Perfect for Church, Sunday School, Baptism, Primary, or any other Christian Event. HELP CHILDREN CHOOSE THE RIGHT TODAY- Give children a meaningful gift they will love and Add our CTR Slap Watch to your cart today! If you have any questions about this product by Pioneer Plus, contact us by completing and submitting the form below. If you are looking for a specif part number, please include it with your message.